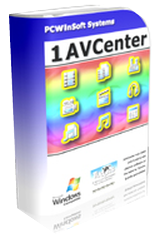 1AVCenter is a complete audio video center. 1AVCenter 2.3.8 was available as a giveaway on November 16, 2015! 1AVCenter is a complete audio video center. It will help you to record narrated tutorials, videos from websites, music and voice. Remotely monitor your desktop or webcam with access to live video and audio. 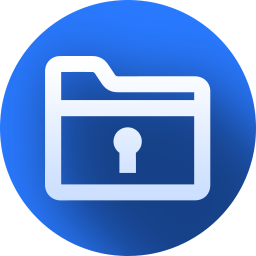 Share files safely, stream live video, audio, playlists of video files, and perform remote surveillance on your PC or webcam. How would you improve 1AVCenter 2.3.8? ScreenCamera.Net is a video recorder, video streaming server, and a virtual camera. It supports all monitors, video devices, such as TV cards and webcams, images, movie files, audio files, and text and date-time stamps. Get ScreenCamera.Net $14.90 (85% discount). ScreenCamera is a desktop video recorder and a virtual webcam. It is a perfect tool to record narrated tutorials, videos from inside web browsers, share game plays on sites like UStream, and remotely help users to demonstrate how to do some specific tasks. Get ScreenCamera for $9.99 (80% discount). Oh, boy, just installed, got strange popup menu. seams to be the function selection. che noia. I tried the screen capture and put me to a wizard, I realized i do not want that, to my surprise there is no way to close that wizard or cancel operation. What kind of software is it??? where do i configure if anythings goes out, and who can see or hear? do the 1avcenter has access to my computer to my surrounding sound or webcam? Oh, boy, just installed, got strange popup menu. seams to be the function selection. che noia. I tried the screen capture and put me to a wizard, I realized i do not want that, to my surprise there is no way to close that wizard or cancel operation. What kind of software is it??? where do i configure if anythings goes out, and who can see or hear? do the 1avcenter has access to my computer to my surrounding sound or webcam? I use win 8.1. In the process of installing, I received the message: api-ms-win-core-libraryloader-l1-2-1.dll, then it stoped. Anyone help to resolve this problem? Thanks in advance. @XP-Man. Thought I'd finally struck lucky with snagit but not so. I tried out this free version (7.2.5) from somewhere some time ago and could not install it. I tried using your link and could not install it either. I got a message that "installation did not finish and to run setup again" with both freebies - and running setup made no difference it just came back to the same message. It seemed to be in a loop. I tried to install both versions having admin rights, AVG protection turned off and windows firewall set to allow snagit to install to no avail. I've no idea what the problem is other than the fact that I'm running Vista Home Premium!! If anyone else has managed to solve this (if it applied to them) I'd be glad to know how. My main reason for wishing to use snagit is that when an image is in a window which is off-screen and has both horizontal and vertical scroll bars it (allegedly) can capture the full image. FSCapture can't always do it neither can GreenShot although the latter has a far higher success rate in doing so and is the best prog for doing that that I've come across so far. Today's offering seems to involve capture of audio visuals more than anything else. To be honest I had a look for JCP capture but gave up on the video as the voice over put me right off - if he would just get right to the point it would help. Time was of the essence today so I switched off - sorry but that's the affect it had on me. @XP-Man. Thought I'd finally struck lucky with snagit but not so. I tried out this free version (7.2.5) from somewhere some time ago and could not install it. I tried using your link and could not install it either. I got a message that "installation did not finish and to run setup again" with both freebies - and running setup made no difference it just came back to the same message. It seemed to be in a loop. I tried to install both versions having admin rights, AVG protection turned off and windows firewall set to allow snagit to install to no avail. I've no idea what the problem is other than the fact that I'm running Vista Home Premium!! If anyone else has managed to solve this (if it applied to them) I'd be glad to know how. My main reason for wishing to use snagit is that when an image is in a window which is off-screen and has both horizontal and vertical scroll bars it (allegedly) can capture the full image. FSCapture can't always do it neither can GreenShot although the latter has a far higher success rate in doing so and is the best prog for doing that that I've come across so far. Today's offering seems to involve capture of audio visuals more than anything else. To be honest I had a look for JCP capture but gave up on the video as the voice over put me right off - if he would just get right to the point it would help. Time was of the essence today so I switched off - sorry but that's the affect it had on me. Tested the link I sent and had no problems installing in XP or in Win7. Please note I use the EXE file, the serial number is in the lower part of the link I sent. Never used Windows Vista so have no idea if that could be the problem. Bill. Tested the link I sent and had no problems installing in XP or in Win7. Please note I use the EXE file, the serial number is in the lower part of the link I sent. Never used Windows Vista so have no idea if that could be the problem. Note, this version supports is compatible with Windows XP only. @SnagIt 7.2.5 seekers: That one's for XP only: http://slickdeals.net/f/1373115-free-download-of-snagit-7-2-5-screen-capture-image-editing-software?page=16 Quote: Note, this version supports is compatible with Windows XP only. TV tuning is extremely out-of-date. It only allows for analogue tuning, not digital. It also ties up the computer during autoscan. This seems to be a program designed more for webcam use. The title makes it sound like it's an AV center like NextPVR or Kodi which it is not. TV tuning is extremely out-of-date. It only allows for analogue tuning, not digital. It also ties up the computer during autoscan. This seems to be a program designed more for webcam use. The title makes it sound like it's an AV center like NextPVR or Kodi which it is not. 0xC0000022 translates to "The application has failed to initialize properly". This typically means either the program is bugged, configured incorrectly, or another piece of software is causing a problem during the application startup. In particular, I believe the exact cause is due to "Access Denied", so some file is probably already open that the program needs to access. 0xC0000022 translates to "The application has failed to initialize properly". This typically means either the program is bugged, configured incorrectly, or another piece of software is causing a problem during the application startup. In particular, I believe the exact cause is due to "Access Denied", so some file is probably already open that the program needs to access. 1-AV-Centre software is by a Brazilian software developer. Guess they have their own style of programming. It seems 1-AV-Centre is not ready for prime time and there is room for improvement. Snagit developers have made an older version available for free download. Installed and registered without any difficulty, opened up to a perplexing interface. Had some difficulty in setting up my WebCam, kept reverting back to default settings. An interesting aspect was when I attempted to change the frame rate; the up arrow decreased the frame rate and the down arrow increased it, strange! When I did get it working it recorded video but was not too impressed with the quality. Once you have developed a program to make another one you copy it, in essence no cost, but from the prices they charge you would think it was like building a car where everything has to be made again. A program that is way, way overpriced as are most today; for the price of today's download and yesterday's you could buy a really decent refurbished desktop computer. Not a program I will be using regularly because it is an unpleasant program to use and I don't have much use for many of its functions. Installed and registered without any difficulty, opened up to a perplexing interface. Had some difficulty in setting up my WebCam, kept reverting back to default settings. An interesting aspect was when I attempted to change the frame rate; the up arrow decreased the frame rate and the down arrow increased it, strange! When I did get it working it recorded video but was not too impressed with the quality. Once you have developed a program to make another one you copy it, in essence no cost, but from the prices they charge you would think it was like building a car where everything has to be made again. A program that is way, way overpriced as are most today; for the price of today's download and yesterday's you could buy a really decent refurbished desktop computer. Not a program I will be using regularly because it is an unpleasant program to use and I don't have much use for many of its functions. To the developer. This may be a really great program,the best thing since sliced bread, something I can't do without : But after visiting your web site reading the very brief description and watching the videos, I have no idea. You need to realise there is huge difference between telling me what it is and why I need it as opposed to screen captures of opening screens and options and so on. I'm guessing as a media server I might be able to access my videos at home from a hotel room? but you haven't told me. Likewise it may be good for podcasts? What do I gain by file sharing this way? etc etc. Videos of it actually preforming tasks would be much more useful and informative. Tried installing on XP SP3 after un-installing a several year old version of 1AVCenter using Revo uninstaller. @Confused, I have Windows 7 64 bits and I have the same problem. 2. Purchase another Full Year of Free Updates for 1AVCenter. 3. I have purchased the Update. Let me Register. Can someone HELP US please????? @Confused, I have Windows 7 64 bits and I have the same problem. When I install the software, I have 1. Continue using your current version of 1AVCenter. Your license for the current version is valid for unlimited time. Bla.... 2. Purchase another Full Year of Free Updates for 1AVCenter. 3. I have purchased the Update. Let me Register. And nothing get install. I tried all the different option Can someone HELP US please????? Regardless of the merits or otherwise of today's giveaway, it needs to be noted that this Brazilian developer -- PCWinSoft Systems -- is a customer of The Ultimate Collection Of Winsock Software (Tucows) whose "5 star rating" (actually, 5 cows) it makes great play of on the 1AVCentre product website. Tucows long since eased back on its former role of offering downloads of freeware and shareware. Today the bulk of its profits derive from being one of the world's biggest players in domain name registration and trading. A number of software companies are Tucows' clients. In fairness to prospective customers, PCWinsoft should not be promoting its software on the basis of an "award" that far from being impartial is actually from another company with whom it is in a commercial relationship. Couple the question mark that arises over this developer's behaviour with the downright over-the-top $99 re-install price for its collection of apps and thanks, GOATD, but no thanks. Regardless of the merits or otherwise of today's giveaway, it needs to be noted that this Brazilian developer -- PCWinSoft Systems -- is a customer of The Ultimate Collection Of Winsock Software (Tucows) whose "5 star rating" (actually, 5 cows) it makes great play of on the 1AVCentre product website. Tucows long since eased back on its former role of offering downloads of freeware and shareware. Today the bulk of its profits derive from being one of the world's biggest players in domain name registration and trading. A number of software companies are Tucows' clients. In fairness to prospective customers, PCWinsoft should not be promoting its software on the basis of an "award" that far from being impartial is actually from another company with whom it is in a commercial relationship. Couple the question mark that arises over this developer's behaviour with the downright over-the-top $99 re-install price for its collection of apps and thanks, GOATD, but no thanks. Actually, MikeR you should reconsider slandering companies w/out doing some research first - EVEN if what you said about Tucows was true, do you hold CNet and Softpedia in equal contempt? Their PROFESSIONAL reviewers ALSO speak well of this product (Softpedia users that actually USED the product rated it 5 out of 5!). Dave Allen in published writing it is not slander it would have to be face to face in front of a third party to be potentially slanderous... it could be libel but they'd have to prove what was written was a lie but MikeR was clearly expressing his personal opinion. BTW the products you call 1AVCenters competetors... 1AVCenter is not even in the same league as those you quoted I seriously doubt they have even heard of 1AVCenter let alone consider it any form of competition to their products IMHO. @ "Dave Allen". As someone has already pointed out to you, there's no "slander" in written words. No libel either here, MikeR was pointing something out which I thought was fair seeing as how everyone is tired of all those fake "award websites" and might think that the most well-known are automatically the best to be guided by. I didn't know that Tucows is no longer how it was. If you are receiving the error 0xHG20, it means the installer can not connect to PCWinSoft server to validate the date of installation because it is being blocked by the firewall and sometimes the anti-virus. Turn off the firewall and try it again, it should work, if it still does not work then disable the anti-virus. This error means the installer is being blocked to check date on line. To solve it the user must turn off firewall and sometimes the anti-virus. The error means: Can not connect to PCWinSoft server.